The global fight against doping in sport is now perhaps more important than ever. With the increased public awareness and media attention, there have been recent radical changes within the anti-doping industry, which our team at Versapak are proud to be a part of. 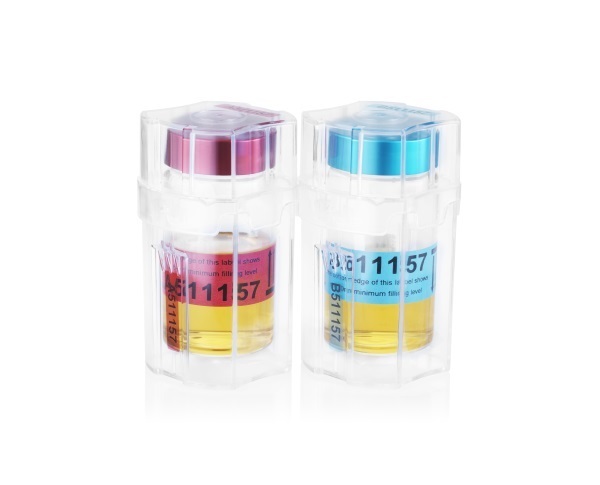 Through constant innovation and striving to serve the market with the best possible products, we have developed a new generation of urine testing kits to enhance the security and reliability of anti-doping testing equipment. The new, single use kit for A/B urine samples has been carefully designed and manufactured by Versapak in accordance with the ‘International Standard of Testing and Investigations’ (ISTI). We have raised the bar by incorporating a patented new locking mechanism to ensure the integrity of samples. The intricate design has the DNA to stop any attempt to copy or replicate Versapak canisters or for the malicious manipulation of samples as the tamper evident features, clearly indicate any interferences in the chain of custody and give no unauthorised access to the sample. The product, which is manufactured in the United Kingdom, was developed with both the athlete and laboratory in mind, with an easy to close and secure mechanism, as well as simple and safe instrumentation for opening under the care of an authorised and qualified laboratory technician. Security and transportation is complimented with a range of Versapak Secure Holdalls with Tamper Evident T2 Security seals and the secure holdalls for blood can maintain temperatures for up to 6 hours, or longer when using Versapak freeze boards. What’s more, the new generation kit now has further improved security features including barcode labelling alongside the serial numbering to uniquely identify the component parts and ensure the traceability of every sample. Extensive testing by a reputable independent worldwide authority concluded “it was not possible to open the canisters without evidence of tampering”. The assessment has reinforced the unique and sophisticated design of our new, urine sample transport kit. We look forward to releasing our new generation product worldwide in an attempt to deter those that undermine the integrity of sport. We are confident that with our new product on the market, it will be another step towards restoring clean sport.